Intelligence Sec’s annual CBRNe Summit Europe 2019 will be held 9-11 April 2019 in Birmingham, UK. CBRNe Summit Europe 2019 will bring together key officials to CBRN capabilities and international cooperation, the use of robotics within a hotzone, medical countermeasures to chem-bio attacks, and first responder techniques, tactics and procedures. Please visit the CBRNe Summit Europe 2019 website for more information and to register or contact Intelligence Sec events@intelligence-sec.com or by phone +44 (0)1582 346 706 and we will be happy to provide you further information on how you can participate either as a speaker, sponsor/exhibitor or as delegates. 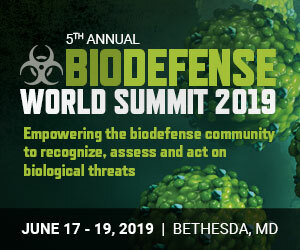 CBRNE Central is an official media partner of CBRNe Summit Europe 2019.